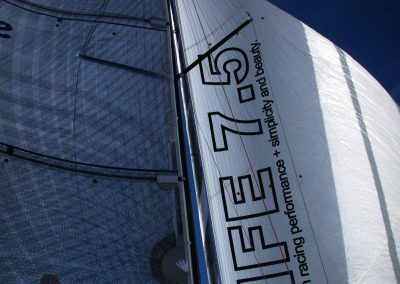 Rather than trying to be everything to everyone, the Life 7.5 is simply a fast, affordable one design yacht capable of the full excitement of blistering downwind speed but accompanied with beautifully balanced sailing. The design includes the very latest in foils and robust light construction. 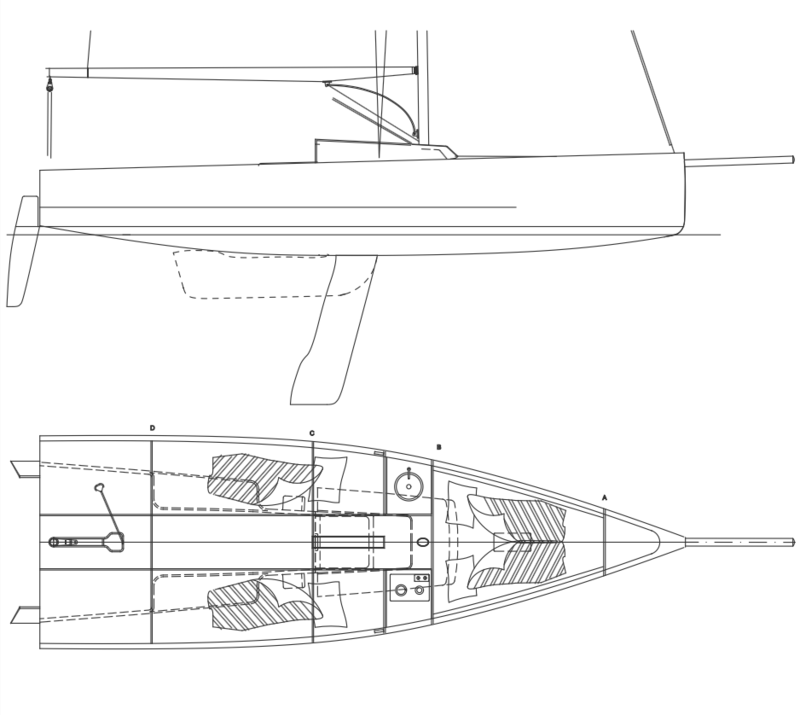 The new design takes on many of the most recent trends in high-performance yacht racing, then simplifies them into a new 7.5 meters (25 foot) design classic. Designer, Dieter Blank, has come up with something that will suite the club racers and short hand racers, as well as the One Design enthusiasts. 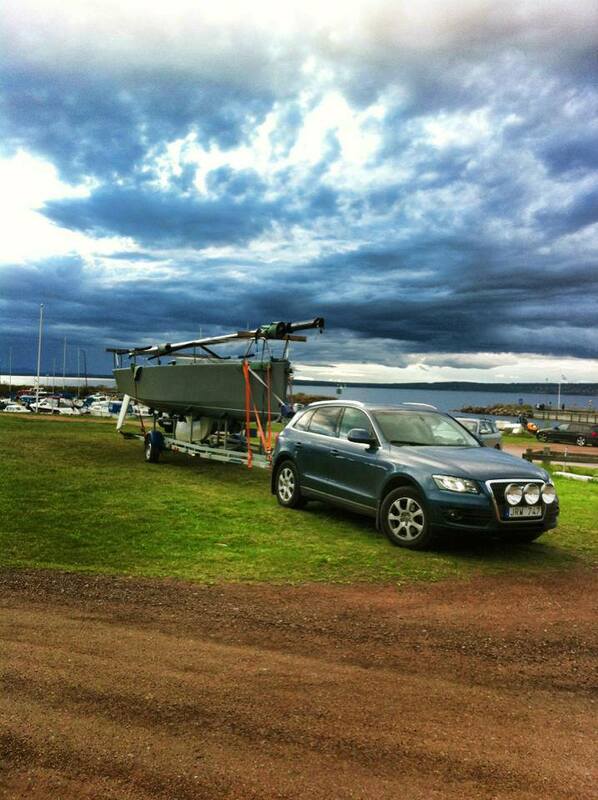 The yacht is shipped, ex-factory with a very high standard specification of world class fittings.  The Life 7.5 deck is extraordinary clean. This allows crew to get around when they need to and avoids stepping around much of the usual clutter associated with more complicated deck layouts. There is an integrated moulded bulwark in the hull. The jib tracks have been left out and replaced by an inhaul/downhaul system that can be controlled from the windward side. 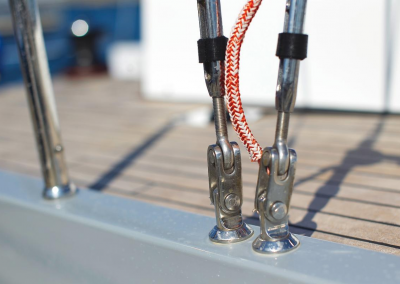 Deck hardware suppliers include Harken, Spinlock and Facnor. Less clutter to trip over, more space to move, a clean aesthetic profile. 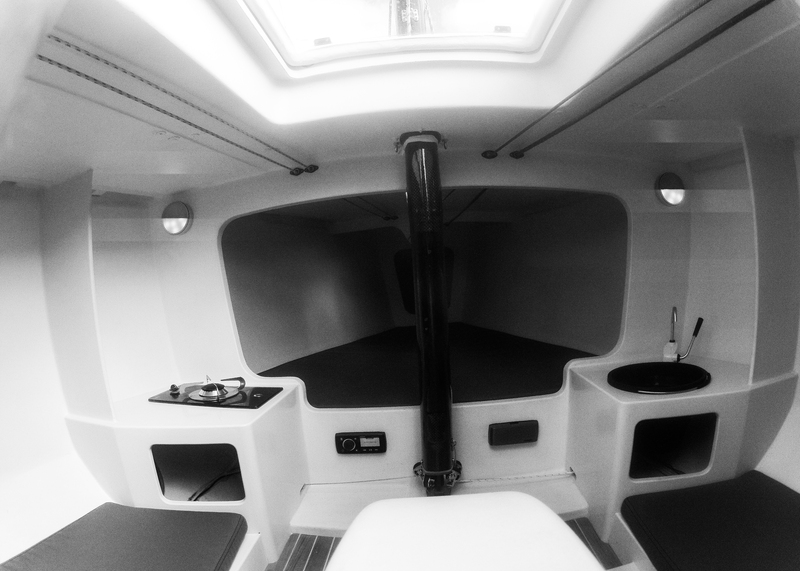 Is this the best working deck on 7.5 meters yacht? Both the twin rudder and keel fin are designed with one of the best foil profiles on the market. 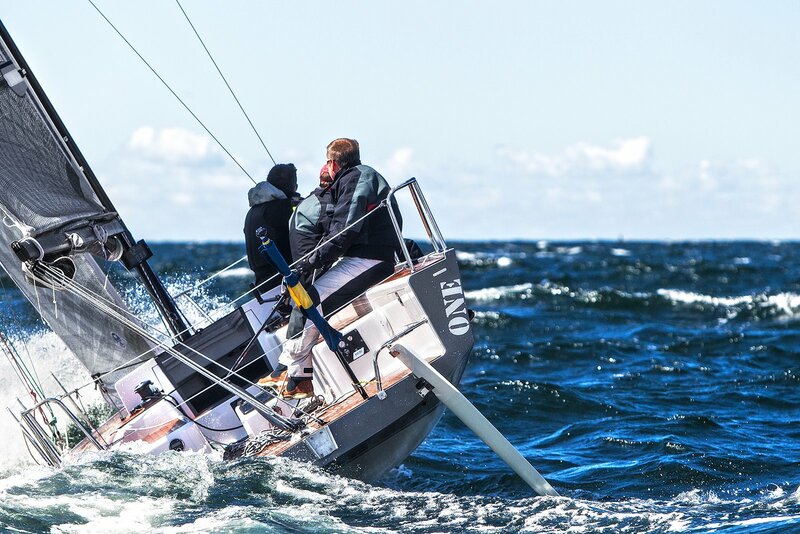 The keel, with it’s 2.0 meters depth, allows all the ballast to be located where it provides maximum efficiency. 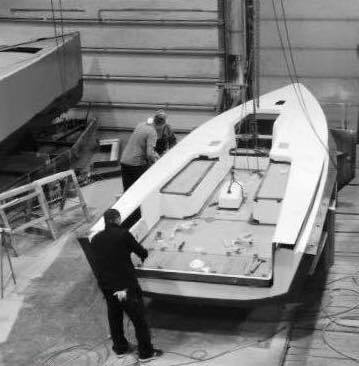 With a hydralic lift for the keel, the depth will not be an issue while trailering the boat or entering shallow harbours. 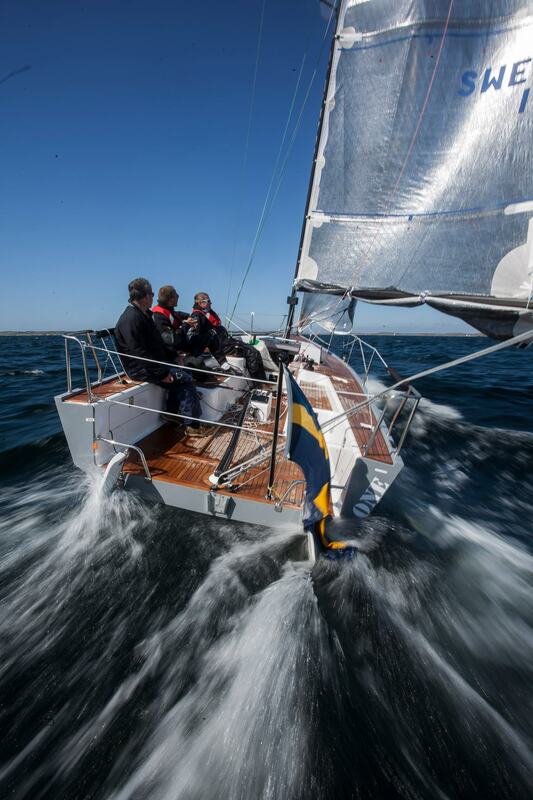 There is just under 50 % ballast in the keel. 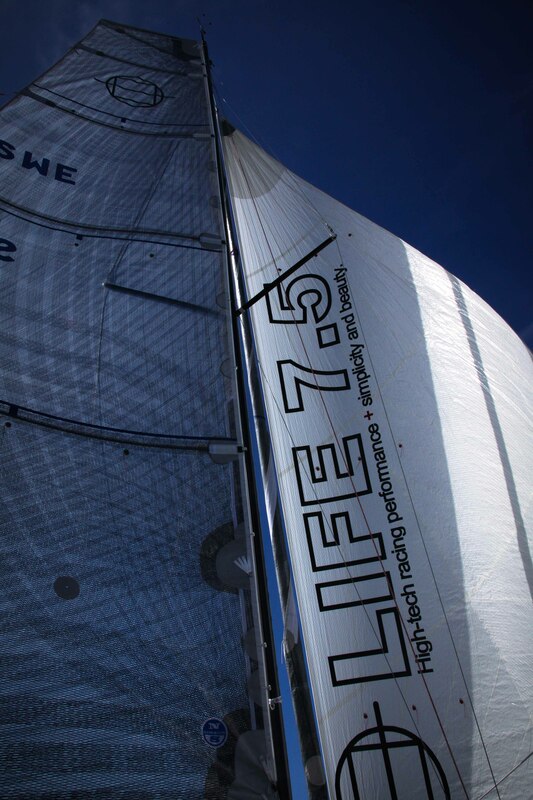 The Life 7.5 will remain easy to steer and exhibit better sailing characteristics than some of the more extreme designs. The Life 7.5 features one of the largest cockpits in its class. 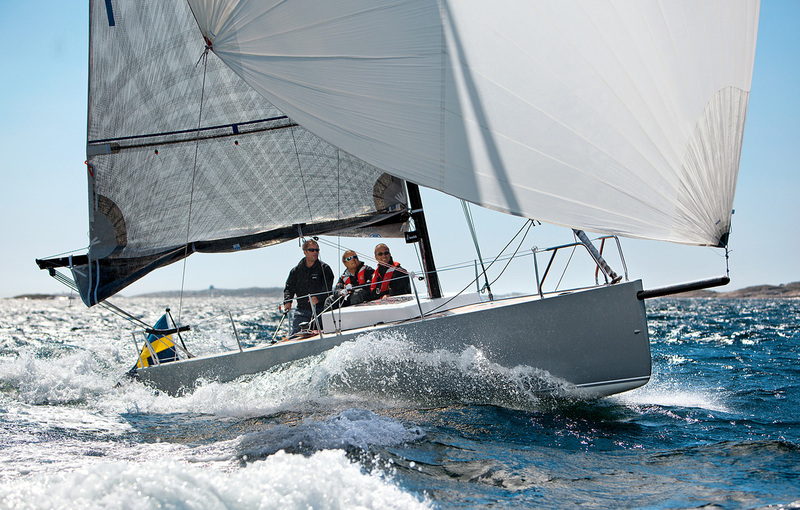 We’ve put the emphasis firmly on the enjoyment of sailing and racing. Everything has been placed exactly where it is needed. 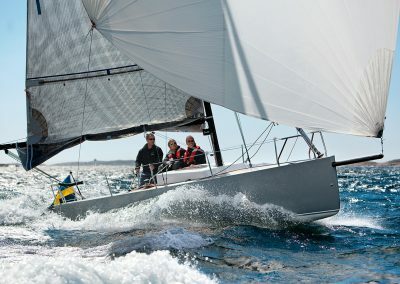 The cockpit has been designed for a crew of four (or 360 Kgs total) or shorthanded, but it can happily accommodate more for those club races, a short sail with friends or a evening race. As a center piece in the cockpit you will find a main sail trim console with an integrated place for a small plotter. 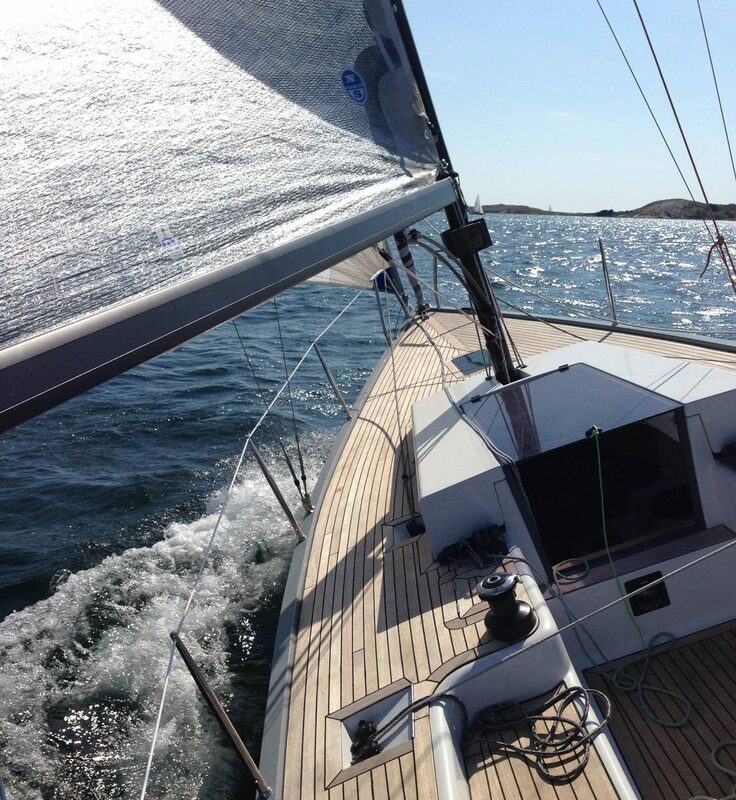 You will retain a firm grip in the cockpit with the teak deck, which comes standard on every Life 7.5. There are only two winches on the yacht, both in the cockpit. 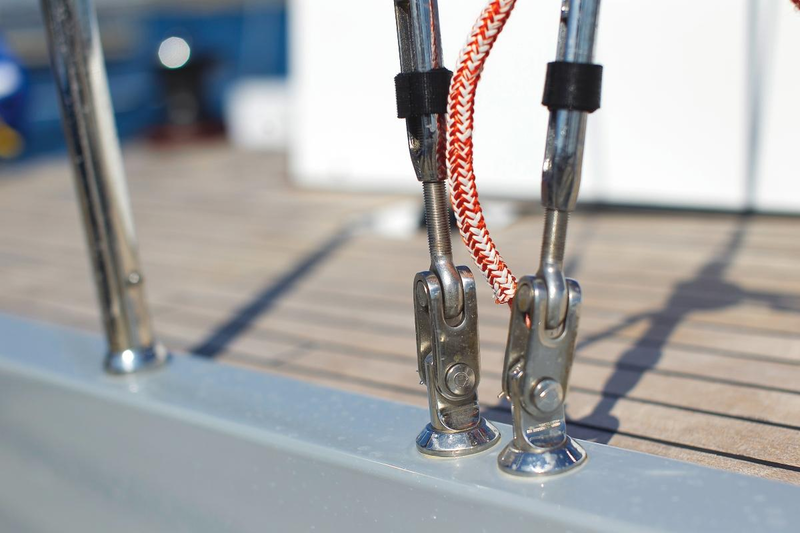 Clever lead angles allow these winches to be used for all tasks around the yacht, when extra power is needed.  The traveller system has been taken out, in line with current trends with more reliance on an efficient vang. 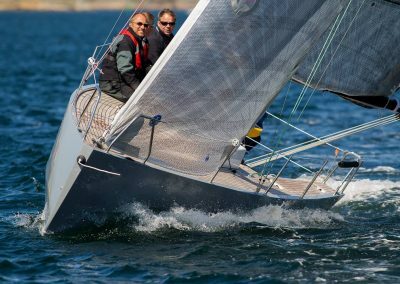 There’s plenty of room for efficient one design racing, short hand racing, the weekly evening races, with the equipment you need and making your sailing a whole lot more enjoyable. The mast is made in one pieces in carbon fibre or aluminium by Selden. The boom and the one set of spreaders are in aluminium. 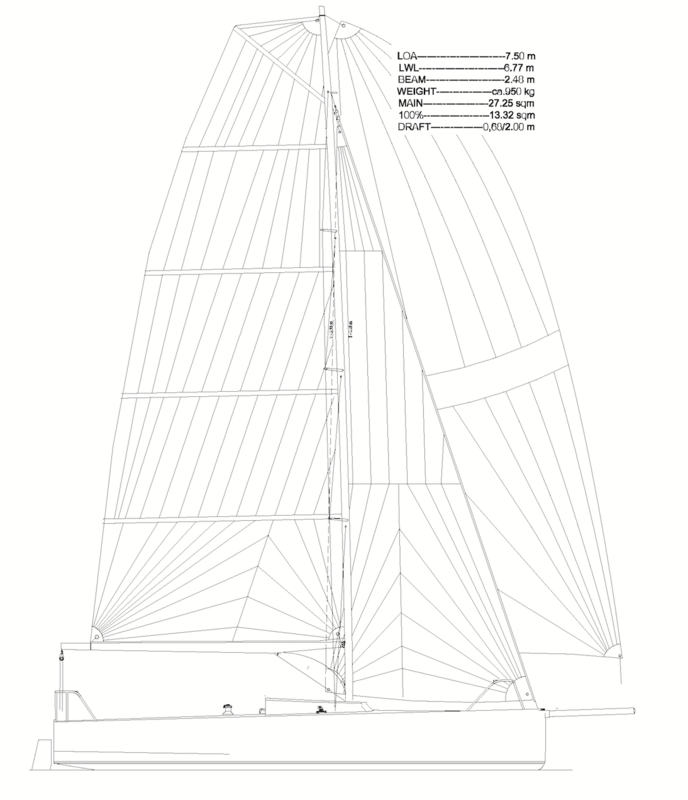 There are no backstays, this to accommodate easy rigging and ease of handling the large square-headed mainsail. 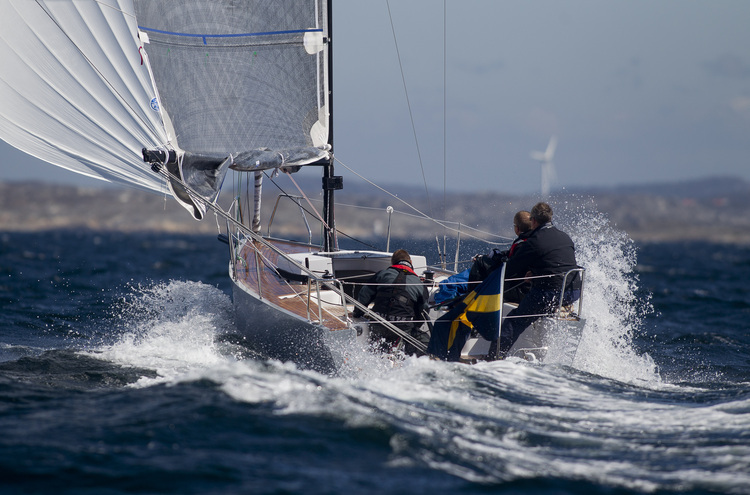 The mast is keel-stepped, allowing a minimizing of mast profile and maximising of strength. To keep the one design racing costs down we have made ”4” the magic number. 1 x Main, 1 x jib, 1 x Code 0 and 1 x masthead, asymmetrical in a one design setup. 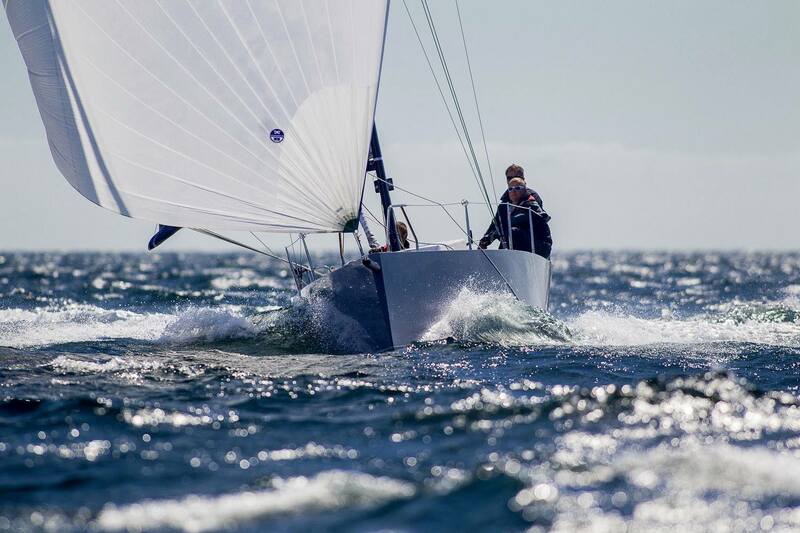 Of course you may want more when club racing, but the one design sail specifications will provide enough power to keep you working hard and yacht at full speed in all conditions. 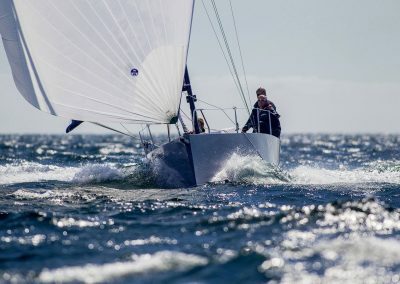 There has been a lot of attention to ‘cleaning up’ many of the sailing systems, so that you enjoy more of your time sailing and racing rather than tripping over clumps of sheets and general cockpit chaos. 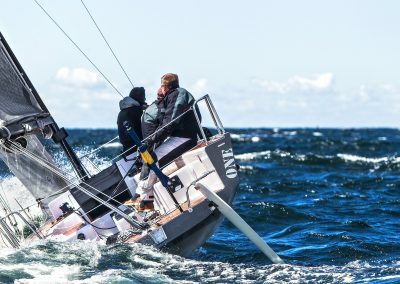 By avoiding the compromises of handicap systems, Dieter Blank has designed a clean, efficient hull which does exactly what it’s meant to do – provide long-term, one design fast sailing and racing in a well-constructed, affordable design. Don’t get too excited. There’s not a lot to talk about once you head below deck. 4 x Bunks and a possibility for a cooker and a sink, that’s about it. If you are looking for mahogany trim, a full galley and pretty curtains this may not be the boat for you, but it will give you a possibility to take the long weekend trip with some accommodation onboard. Really, how much time do you spend downstairs? Isn’t it smarter to put the effort on where you spend your time when aboard? The almost unique feature among the boats of her kind is that she is well adapted for the land transport. Being 2.50 m wide and with the weight around 1 t, she can be trailed upright and even slip-launched. 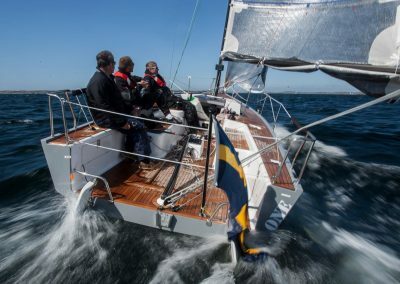 Swing keel, removable rudder blades allow you to decide whether you want to reach the start of the race or your cruising destination by sea or by land. The boat fits as well into a 40’ container. That means you can ship her to your favourite destination for less than a price of the marina berth. 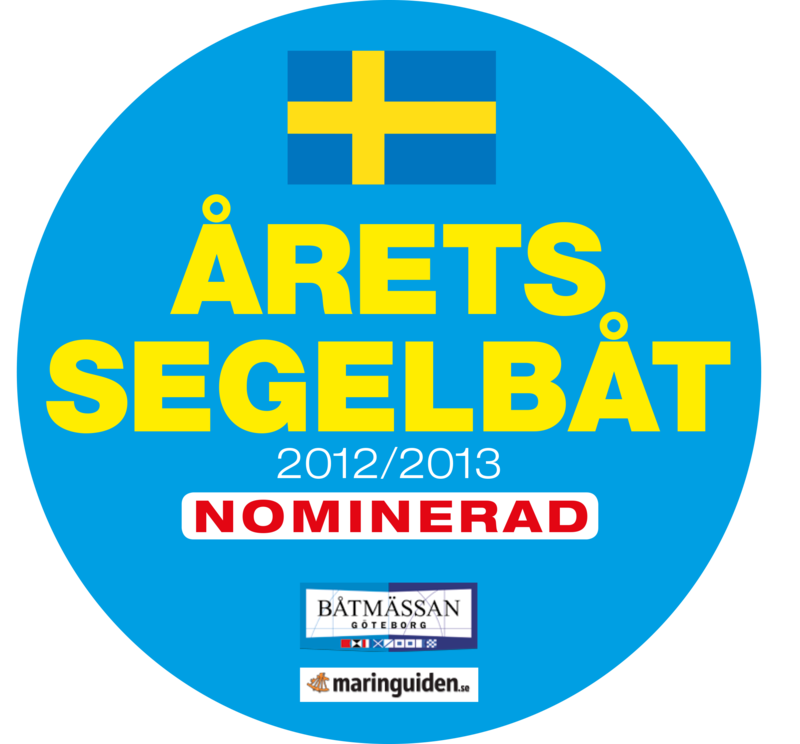 Reaching the world best sailing locations is thereby only a matter of decision. 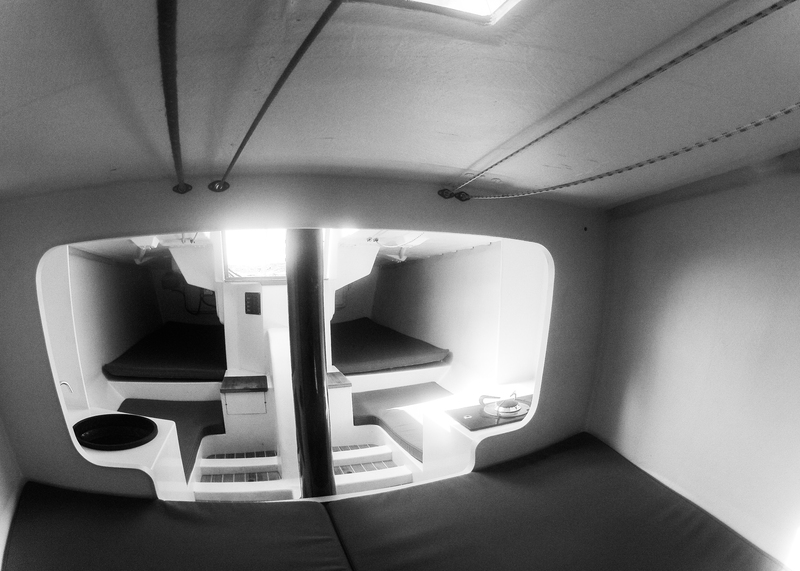 The main materials in hull, deck and interior is e-glass and foam with re-inforcements. 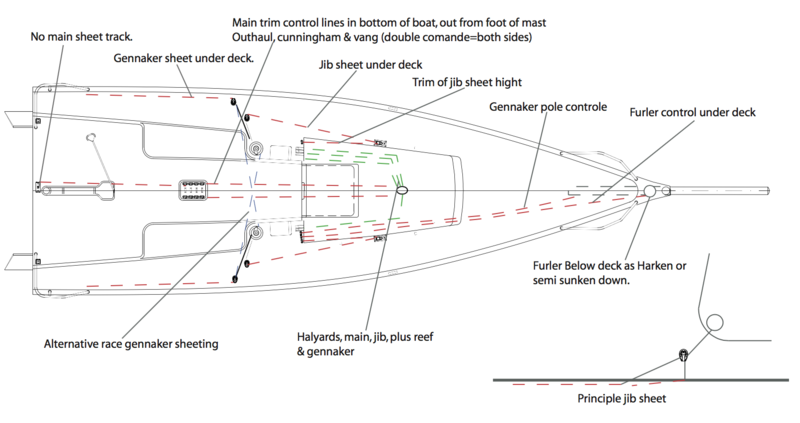 The use of cross cut Balsa in the hull or deck, as a core, remains prevalent in some yards. Balsa has the advantage as it acts with capillary action to draw resins through it, facilitating the bonding of a sandwich and creating a degree of impermeability. We choose to use foam which allows us to determine through the use of vacuum both impermeability and quality of adherence. This technique also allows us to check the individual bonding of each small cell before the second laminate proceeds. Hull, deck and interior are vacuum infused which gives us the best resin glass ratio and 100% warranty that the foam is well attached to both laminates. No risk of de-lamination. The hull surface utilises the latest generation of hard-wearing gelcoats. The deck is constructed with high density cores used for the placement of fittings. 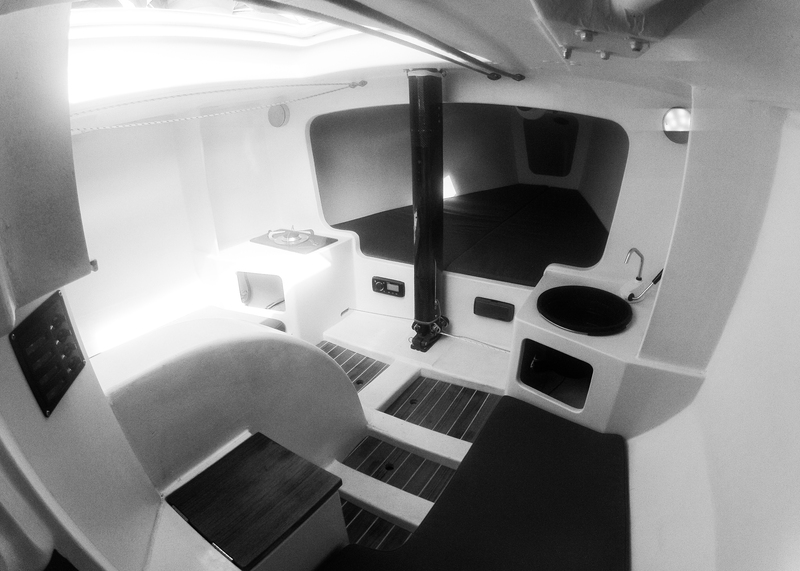 All hulls, decks and interiors are vacuum-infused. The new swedish racer: a mix between a pricy Wally and an Open 6.50. 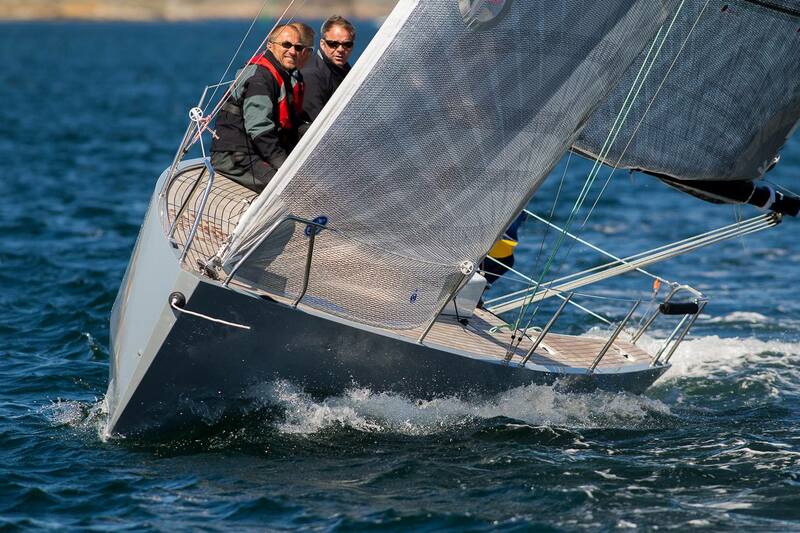 Cheaper than a small Bavaria and faster than a Melges 24.